The grocery store is filled with adorable little pumpkins and everyone is thinking PIE as they walk by. I love a good pumpkin pie or recipes made with pumpkin puree as much as the next person but there is so much more to those little pumpkins. 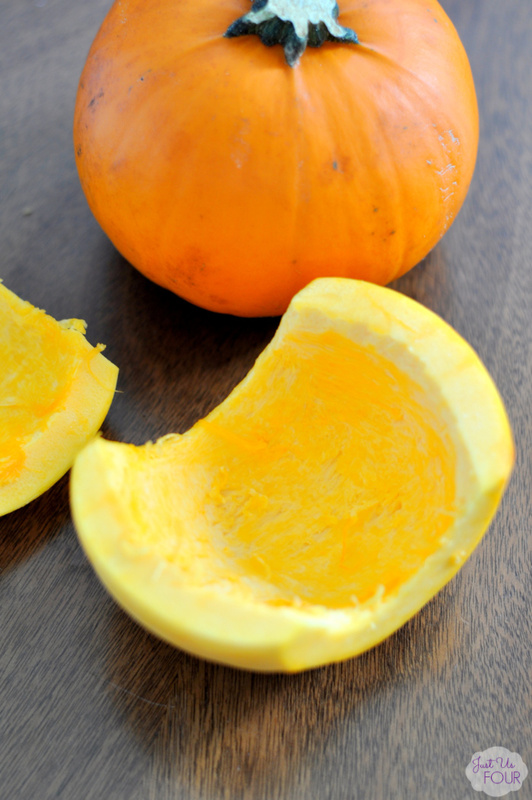 The first step is knowing how to cut a pumpkin properly so that you can use it in recipes beyond pie. 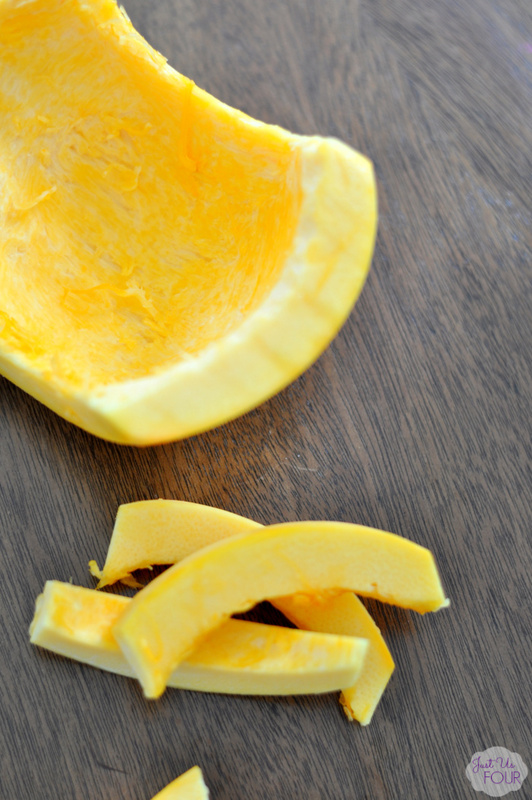 Much like cutting butternut squash, cutting a pumpkin can seem a little daunting. 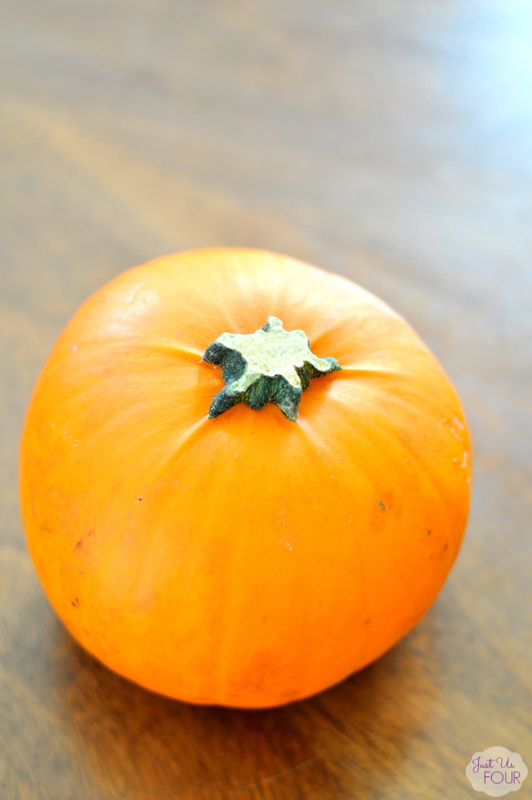 But, once you do it once or twice, it is so easy and opens up a whole new set of recipes to use pumpkin in! These directions apply to any pumpkin but I used a pie pumpkin because they taste better when cooked in my opinion. Then, grab your tools. 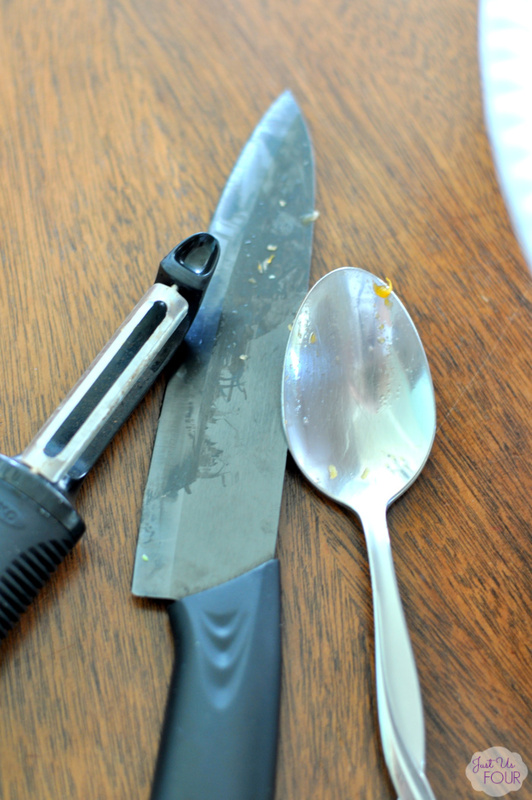 You will need a peeler, sharp knife and large spoon. These are already “pumpkin-ized” so forgive me that they look dirty. Start by cutting off the top and the bottom of the pumpkin. Then, slice it in half. 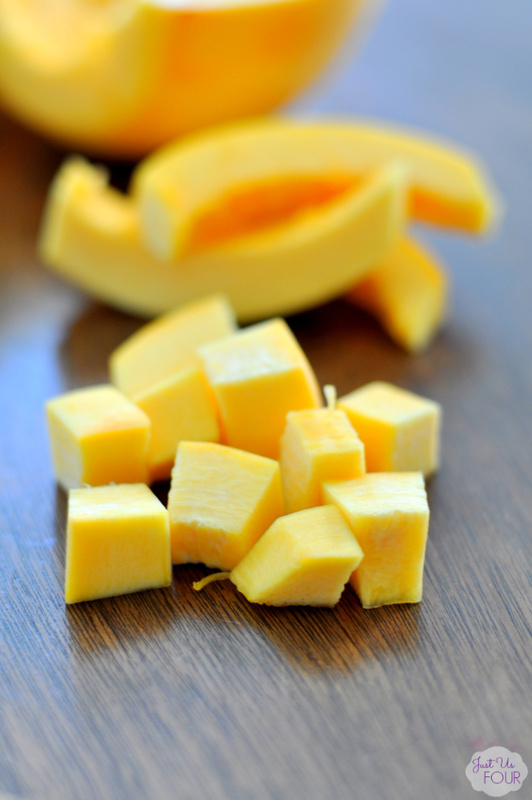 If you are having trouble slicing it, toss it in the microwave for 2 minutes at 50% power to soften it up a bit. 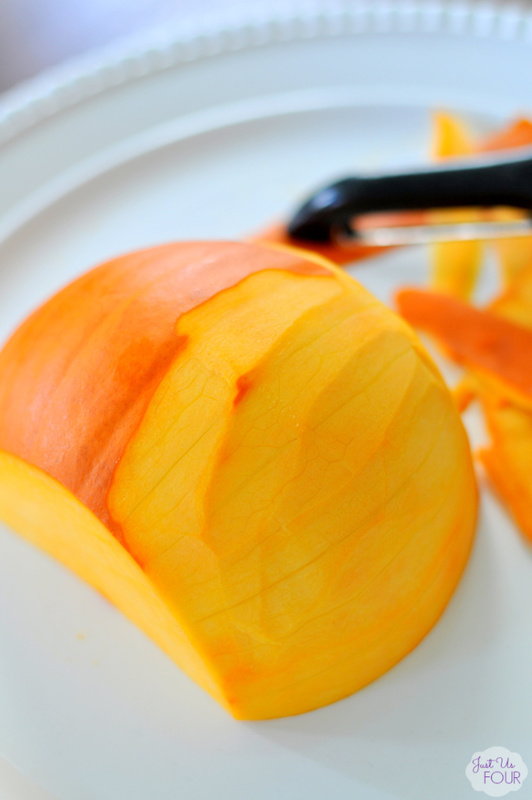 Using the peeler, peel off the outer skin…the bright orange stuff! Use the spoon to scoop out all of the inner seeds. Save them if you want to roast them or just toss them if you don’t have any plans for them. Using the knife, slice it lengthwise into strips. You can easily stop at that point and use it in place of the squash in a recipe like this one. Or, move on to the next step. 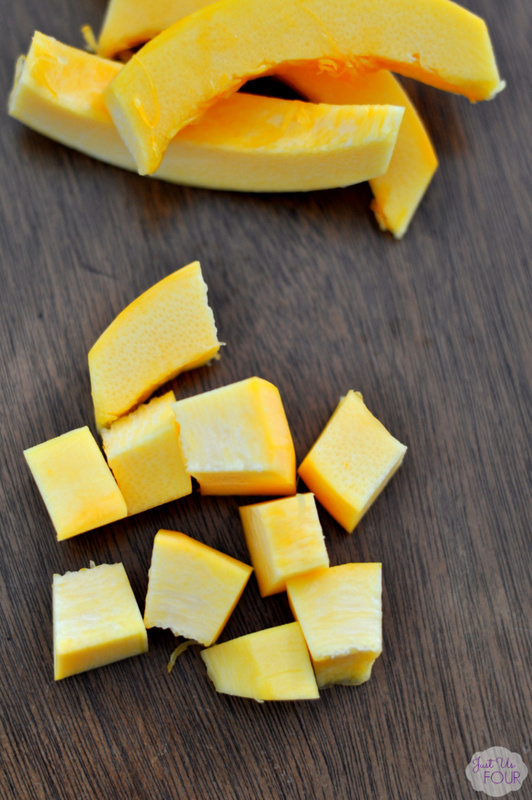 Cut the slices into 1 inch pieces to roast or use in soups. The possibilities are endless. 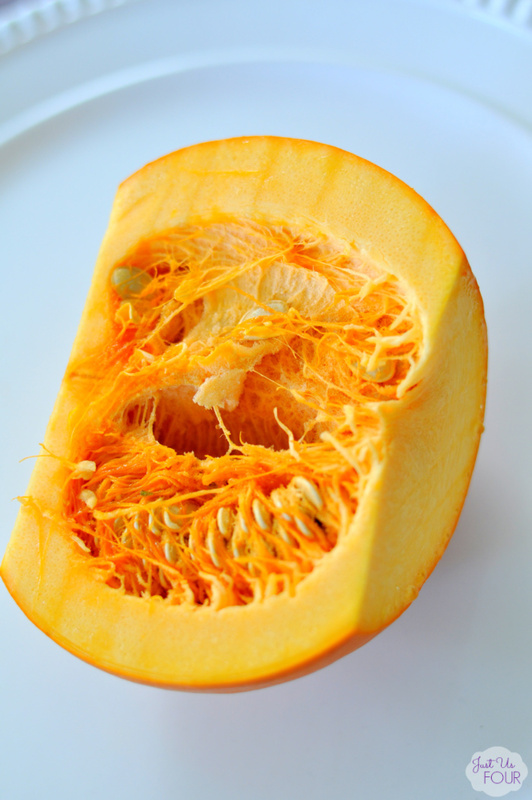 Have you ever tried roasted pumpkin or soup with pumpkin pieces instead of puree? I have been using pumpkin in place of my butternut squash a lot too.